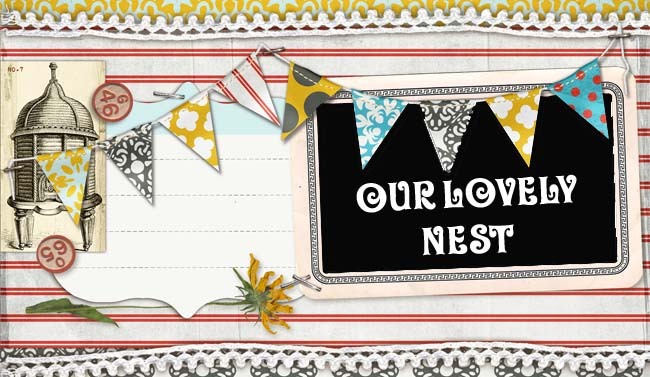 Our Lovely Nest: Record the Good Ones!
" Cheer up Zion! Do not be afraid! For the Lord your God is living among you. He is a mighty Savior. He will take delight in you with gladness. With His love He will calm all your fears. He will rejoice over you with joyful songs." I need to remind myself sometimes to make record of the good days. I can get caught up in the frustrating days, the bad days, and the days I'd like to forget and pass right over the good ones like they never happened! I am constantly trying to figure out what the Lord is trying to teach or show me in the hard days, and what I fail to recognize or embrace are the sweet blessings God has for me on the good days too. Monday was a good day. It was just me, Grace and Harper, all day; when I say ALL DAY, I mean ALL DAY. Chris had a game last night and so he didn't get home until after the girls went to bed. We had a great day. Grace had no tantrums, she was content to play by herself when I was feeding the baby, she wanted to help me clean and empty the dishwasher, she wanted to snuggle Harper and was just in an all-round good mood! Harper is still having some breathing and gastro problems, but she was as happy as she could be and really enjoys watching Grace when she is awake. At no point during the day did I feel overwhelmed; at no point was my patience wearing thin, and even though I have a baby literally attached to me all day, I didn't feel 'claustrophobic' or anxious. I was also able to do some 'crafty projects' which always relaxes me and makes me happy. I even decided to brave the cold and the early darkness to take both the girls out of the house by myself! We went to the Rainbow Room about an hour before it closed and Grace was able to play and slide to her heart's content. It wasn't too bad, although it's kind of annoying to carry a carseat on one arm and hold a toddler's hand as she tries to bolt across a parking lot. I'm sure I'll figure all these logistics in time. I have noticed that becoming a 'mom' a second time is much easier than it was for me the first time. Maybe I am already in the groove or something, but that has been a nice surprise. I am able to see a side of Grace that touches my heart. She has fallen into her new role as a 'big sister' quite nicely. She is so helpful to me and loves to snuggle her baby. Her love for Harper already is evident. It's so cute. She is well aware that it's not all about her anymore, and she seems to be Ok with it...! Actually, taking care of Harper has pulled Grace out of her tantrums on several occasions. In the middle of an all out, fall on the floor, screaming fit, she will hear Harper whimper (although I am not sure how, above all her screaming) and immediately pull herself together and say "I need make Harper feel better!" Today Grace is at school (which is the best thing we've ever done... BY FAR) and I am thinking about taking the girls to the mall for a pretzel and some play time when we go pick her up. Ambitious, I know... but I think I can do it. I am just so thankful today. I do feel like the Lord is singing over us and he is rejoicing in our little family. My goal is to take it day by day, hour by hour even and never forget to be thankful for the good days, even the good hours throughout the day.